Good work all involved! I suppose you could call replacing a new, but non-functioning, lithium-ion battery with old, but functioning, nickel-hydrogen batteries an “upgrade”. You all are awesome. I thank God there are people like you. Good job well done on the this morning’s spacewalk Expedition 59-60!! Congratulations!! and get some rest!! I’m reading a book on zero gravity and I can’t put it down. I was confused by the wording in one part of this article. Third paragraph, third bullet deals with Saint-Jacques and his spacewalking history. This was his first ever spacewalk. 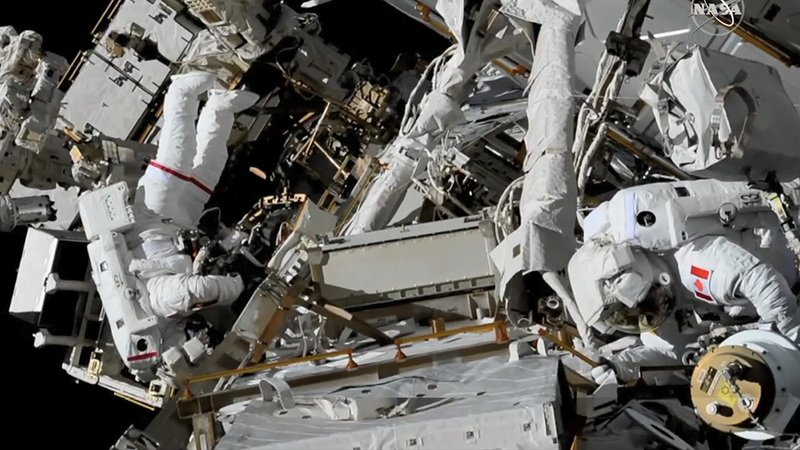 He became the fourth Canadian to ever spacewalk and it’s worth noting that it had been 12 years since the last Canadian performed a spacewalk. I enjoy living vicariously by watching the very brave and incredible men and women as they go about the tasks with such expertise. Thanks for the (to me anyhow) thrilling entertainment.